I am a London based Make-up Artist. Please do take your time to look and read through my fashion website and my biography to give yourself an idea of the style of my work and my client list. Upon securing your booking I like to meet my clients - where possible -for a coffee to talk through their expectations; skin care routine; possible treatments; dress; theme; location etc. My fee is inclusive of a trial, which consists of a morning or afternoon working with you on your look until you are comfortable and happy. I recommend the trial to be held approximately six weeks before your big day. This will give me a good indication of your skin type and I can make suggestions to skincare routine, eyebrows, eyelash tinting and so forth. The trial is held in North London although it is possible for me to travel to a location of your choice at an additional fee. FEE £600.00. Plus all travel expenses. This fee is inclusive of your trial. I am London based and am willing to travel to areas outside of London or abroad for the day. A quote can be given upon enquiry. A deposit of £100.00 secures the date of your booking (non refundable). A further £200.00 is required at the trial and the balance of £300.00 is to be paid on the day or before. "From the initial consultation to the wedding day itself Julie was completely organised and great fun to be with. She was a calming influence on the day and did a wonderful job with the make-up for myself, my bridesmaids and my mum." All the best with everything"
"I want to thank you so much for a long list of things. Firstly, your calming energy and wonderful sense of humour on the day of the wedding. Secondly, for treating my mum to a little lippy and make-up session. She never puts herself first and I was very touched that you did this for her. Thirdly, for the wonderful care and effort you put into making my skin look flawless for the wedding (and the rest of the night), despite the stressful skin that was going on underneath. There is absolutely no evidence of being caked in stuff and I am so very grateful. You have many wonderful talents – your art, your make-up artistry and your wonderful ability to be empathetic to situations and other people. I feel really honoured that I have met someone like you and I can’t thank you enough for all that you have done for me. "Thank you so much for everything you did. I loved my makeup, and so did everyone else, as is proven by the fact that two of the guests at my wedding have since booked you for their own weddings! The makeup lasted perfectly the whole way through the wedding and the reception, so all I had to do was touch up the lipgloss. Knowing that you had done such an amazing and professional job was very reassuring and made me feel much more relaxed in front of all the people and cameras. You made the whole process a lot of fun, and your warmth and grace under pressure were fantastic on the day, as was your kindness to my mum and sundry annoying relatives. Thank you for being so lovely to us all. I think you're amazing and will continue to recommend you to all my friends. 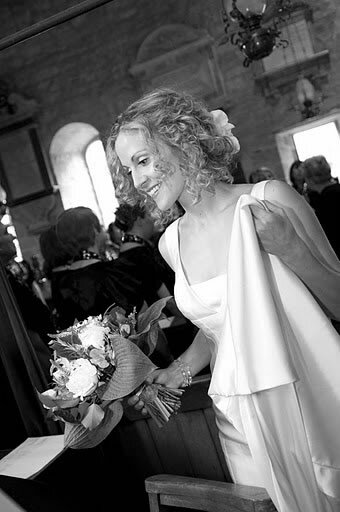 "Thank you so much Julie for my makeup on my wedding day. It was not only the fabulous makeup you did but also the calm presence you brought to my morning. Your facial massage really did help to calm me down first thing in the morning, just what I needed! Thank You"
"From initial consultation to wedding day transformation, Julie made me feel at ease, confident and a truly beautiful. Julie's fantastic ability to blend cutting edge colours with subtle tones meant that my make-up stood out for all the right reasons. Faultless professionalism with a huge dollop of personality makes Julie a true gem." "Hey Julie, How are you? Thank you soooo much for everything you did at the wedding, I was so pleased with my make up loved loved loved it! You were the most lovely and fantastic Make Up Artist to have for my wedding day. You were so calm, fun and fantastic. You knew exactly what would suit me and were very happy to offer advice, as I was unsure. I truly felt a beautiful bride on my big day and would highly recommend you to anyone."